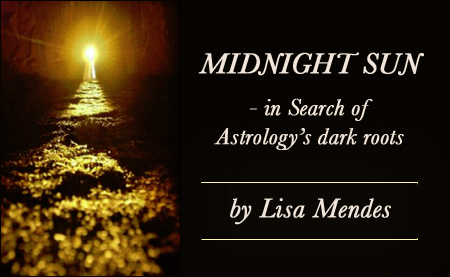 Lisa Mendes argues that there is a symbolic connection between the angles and the solstices which is linked to the underworld journey of the Sun in both Egyptian and Mesopotamian cosmology and mythology. 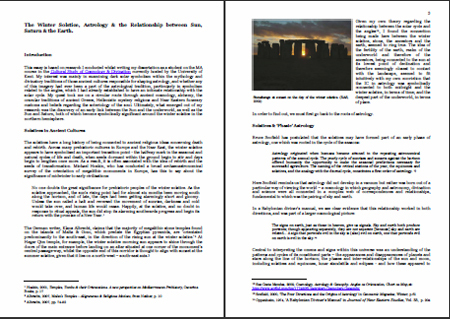 In this essay, the focus is on the winter solstice, which carries important significance with regard to the relationship between the Sun and the earth. Ancient links between the Sun and Saturn are also examined, and suggestions are made as to how this symbolism might enhance one's astrological understanding of the Sun's ingress into Capricorn. The article made available for download is copyrighted to Lisa Mendes and is offered here, with her permission, for private and non-commercial use only. It may not be reproduced further without her specific agreement. Published online December 2009.